← NCGOP Chair Robin Hayes Indicted on Bribery Charges and Lying to the FBI! Mike Causey, Our NC Insurance Commissioner and Republican, Did The Right Thing. Heritage Action Sentinels Making a Difference in DC to Get #BornAliveAct to the floor for a vote! I have an important update for you on the fight to end infanticide. Heritage Action has been fighting vigorously to defend the life of newborn babies who survive an abortion procedure. Under current law, these “born-alive” babies have no legal rights or protections and abortion practitoners have no legal obligation to save the life of these newborn babies. 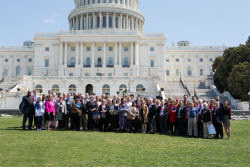 Yesterday, 60 of our best Sentinel activists from around the country flew into Washington D.C. to lobby and pressure members of Congress to support and vote for the Born-Alive Abortion Survivors Protection Act (H.R. 962). Our Sentinels walked from office to office and met with Congressmen who had not yet signed onto the discharge petition in support of the bill. They smartly focused their efforts on Democrat Congressmen in red-leaning districts who face tough re-elections in 2020. Sentinels also used the opportunity to strengthen relationships with conservative Congressmen, thanking them for signing the discharge petition, and discussing big picture issues such as health care and immigration. Do you know where your Congressman stands on infanticide? Has he or she signed the discharge petition? Check out our discharge petition tracker to see if your elected Representative supports infanticide. If your Rep. has signed, don't hesitate to call and say "thank you." If your Rep. hasn't signed, call and tell them to sign! Thank you for all that you have done to support the conservative movement, especially fighting for the rights of the most innocent among us. P.S.—If you would like make a gift to fight and protect the lives of abortion survivors, you can make your gift here. 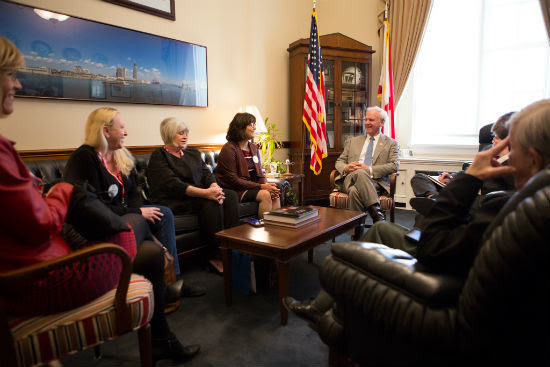 Thank you for fighting to end infanticide.